The National Highway Traffic Safety Administration has recently released data showing that Florida had the highest incidence of pedestrian fatality accidents in 2016. Florida was ranked as the second deadliest state in 2016 with 3.22 deaths per 100,000 residents trailing only behind New Mexico. In Orange, Seminole, and Osceola counties alone, an average of 74 pedestrians have been killed between the years of 2014 and 2016, and each year that number appears to be climbing. The number of injuries is even more disturbing, with 901 pedestrians injured last year in Florida. While out walking, the idea of being hit by a car is extremely scary, but it’s obviously not all that uncommon. And, if you have been hit, it is important that you understand what to do in the direct aftermath of the accident. Safety First – Most importantly, seek medical treatment if you are injured. Even if you are unsure, it is in your best interests to be examined by a medical professional. Get Medical Help – Contact the police, insurance providers, and emergency services. Do your best to provide truthful statements to all authorities when they arrive regarding how the accident occurred. Do not offer any additional information other than what you are asked, such as your opinions and speculation. Exchange Contact Information – If you are able, exchange your name, insurance information, and phone numbers. Avoid talking extensively to the other party involved in the accident other than to exchange this information. Contact an Attorney – An attorney can help you move forward in filing a personal injury claim. 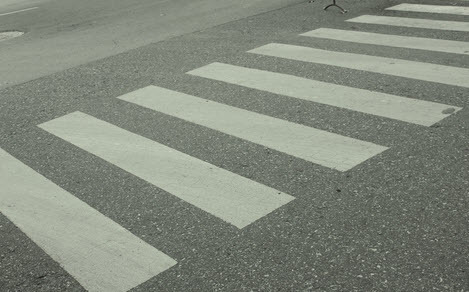 What Factors Determine a Settlement in a Pedestrian/Car Accident? The severity of your injuries. The worse the injuries the larger your settlement is likely to be. The amount of time you are forced to miss work due to your injuries. Lost income is reimbursable. The nature of your medical treatment. The impact that your injuries had on your daily routines and life. Pain and suffering is the hardest part to negotiate. If you are likely to suffer long-term or have permanent serious injuries, your compensation will increase. Presence or absence of fault for the accident. Typically, the driver is clearly liable, but if they’re not and other factors are taken into consideration, it could reduce your settlement. Because there are so many factors that determine the outcome of a pedestrian/car accident case, it is recommended that you speak to an experienced attorney that can protect your rights, and if needed, get you the compensation you deserve. The Boca Raton attorneys at the Leifer Law Firm have over 25 years of experience and the knowledge to get you the outcome your case deserves. Contact us today for help.